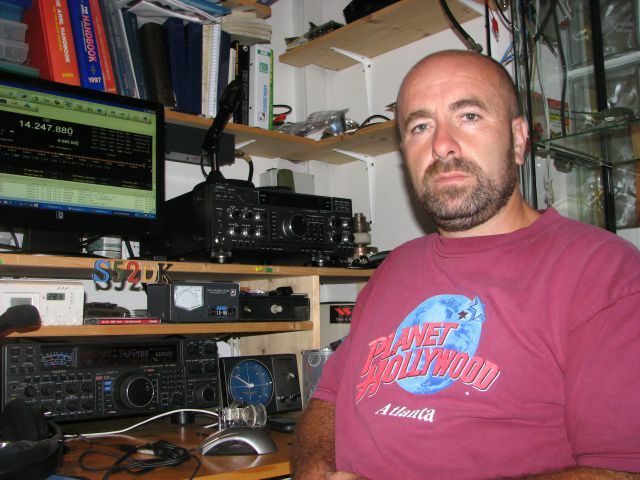 Med pirhi lahko vključite postaje in sodelujete v enem izmed največjih SSB tekmovanj, CQWW WPX SSB 2016, ki bo ta vikend! Raport je RST + zaporedna številka, vsak prefix je multiplayer! This is one of the "big" contests. If you are new, I would suggest to listen for an hour or so to get the hang of things. If you jump in without knowing what to do, you will not only get frustrated, you will also frustrate other operators. Read and understand the entire set of rules and guidelines for the particular contest - This is just common sense. Some just jump right in and go "Uhhhhhh I'm just handing out points". Know your exchange - If you don't know what to exchange with the other operator, don't operate until you do. For CQWW WPX, it's RST and serial number. So you would send 59 01, 59 02, 59 03... etc. Setup your station and software before the contest (today) - Use dedicated contest software like N1MM+, Wintest or N3FJP. It will make things much easier. Regular loggers like HRD and DXlabs have contesting "modes" but they are not really designed for contesting. I use N1MM+ for windows and you can't go wrong for the price. Just export the log in .adif from N1MM and import using your favorite general logger. Test your station beforehand - Make sure everything is in working order. For SSB, try to use a head set or something hands free - This allows you to type fast. This is a contest, No time for rag chewing - Big contests like CQWW or anything that qualifies for WRTC is treated serious. Saying anything more than the exchange is wasting time. You might get away with rag chewing on QSO parties or such. Don't forget about multipliers - Contacting certain stations will multiply your score. In this case each unique prefix (W1, NT1, NE1, CO6, VE7, KB1, WB1 for example) is a multiplier. Rate is king - The point of a contest is to make as many contacts and exchanges as fast as possible within the time allowed. Use the KISS method (Keep It Simple Stupid, Keep It Short Stupid). If you are calling CQ and there are multiple people calling you, after the contact just say QRZ instead of saying "CQ contest, CQ contest, this is november echo one charlie, QRZ". Experience will fine tune your contesting skills. It's very fun when you have high rates of contacts. Z bratom Tinetom S53EA bova QRV v M/S HP in sicer pod njegovim klicnim znakom. TH6DXX za zgornje tri bande, 2 el. žični delta loop za 40m, INV V dipol za 80m in INV L za 160m. 73 ES GL DE Robi, S52DK. V Ljubljani bomo po daljši neaktivnosti aktivirali klubsko postajo AJK pod jubilejnim znakom S570L ob 70. obletnici kluba. Žal brez 1,8Mhz, medtem ko na 3,5Mhz lahko poglasimo anteno samo na 3700 +/- 50kHZ v kategoriji MS LP z TS 2000. No tekmovanje je za nami. Čestitke vsem tekmovalcem, še posebno pa novim S5 rekorderjem. Z moje lokacije nekako ni šlo, rezultat je enak lanskemu, zgornji bandi porazno, sončna aktivnost počasi usiha. Edina svetla točka je 40m, kjer sva naredila največ zvez doslej. Dve elementni delta loop se je pokazal kot dobra antena. Za drugo leto načrtujeva postaviti monobanderja za 20 in 15m, zelo verjetno še kakšen žični več elementni delta loop za 15m in 20m fiksno proti NA. Prav tako bo veljalo postaviti delta loop za 80m. Ocenjujem, da bi se z moje lokacije nekako prilezlo do 10MIO točk. Več bo pa znanstvena fantastika. Ampak to je le hobi in tako, ga tudi jemljem.